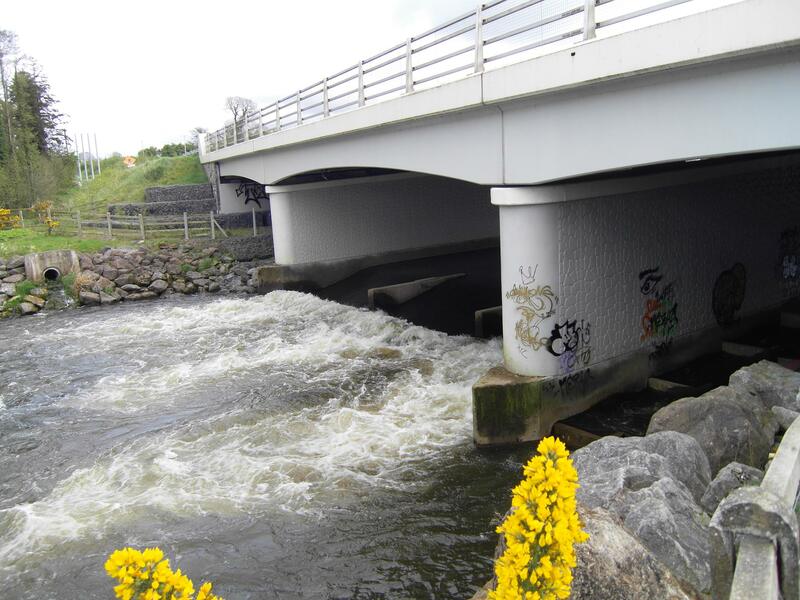 The crump weir on the Mulkear River at the Limerick Ring Road Bridge was installed for the purpose of counting salmon; however no counts from this site are available to the general public and it is not clear if indeed any data from this counter has ever been produced. The crump weir is an impassible obstacle for two of three lamprey species that occur in the Mulkear. 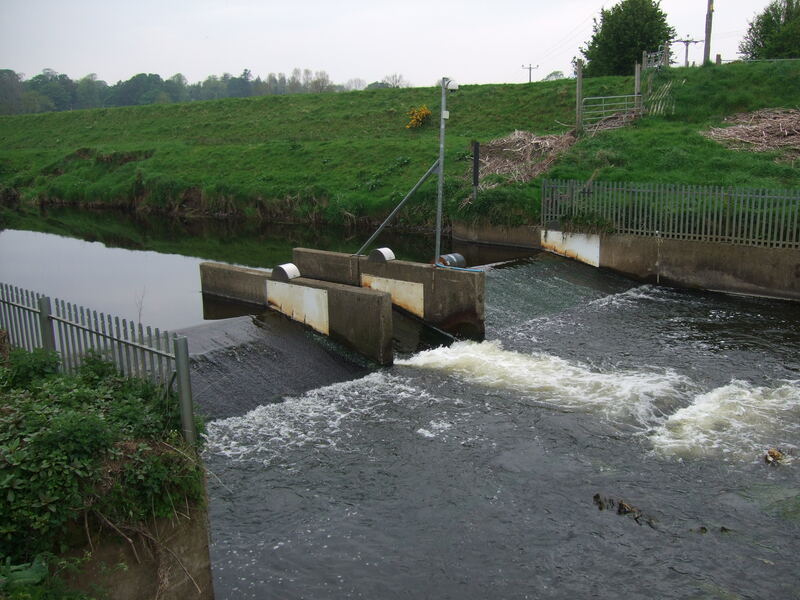 Although there is a video showing one sea lamprey passing over this crump weir, it is also likely that this obstacle poses passage difficulties for sea lampreys under a range of flow conditions. 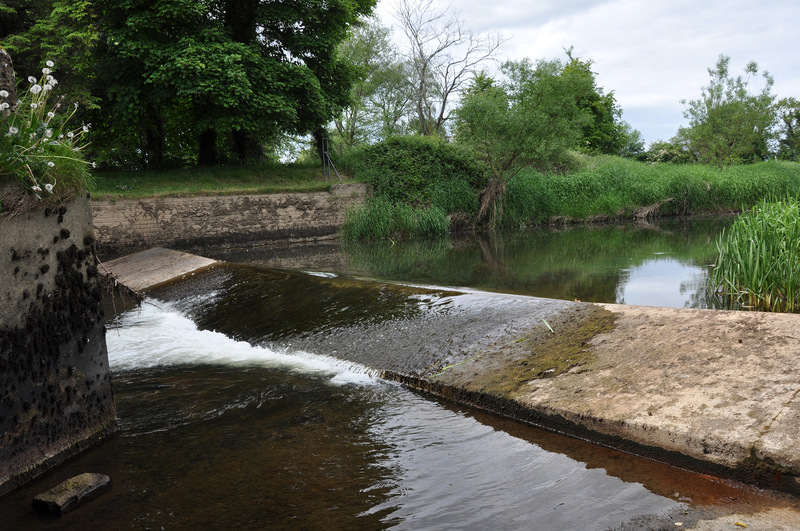 The Mulkear crump weir has an associated vertical slot fish way on one side of the river, that could potentially be used by River (and other) lampreys. However this is just at one side of the river and it is likely that lampreys would have difficulty finding the entrance to this side channel. Unfortunately there is no way for river lampreys to get to this point in the river as Mulkear Life’s ‘lamprey pass’ and the denil pass on the weir at Annacotty cannot be used by this species. No monitoring of the efficacy of this vertical slot pass has ever been undertaken. It may well not be used by any species of fish. It is noteworthy that these large chunks of concrete are being put in on all our salmon rivers to count salmon, but incredibly the counts from these facilities are generally not available. Where are the counts from this installation on the Mulkear for example? These are barriers to fish migration and block the migrations of lampreys, eels and other fish and no data from them ever seems to be available. Our rivers already have enough barriers to migration on them without installing more weirs in the name of conservation. Even if there were counts, setting targets for killing an Annex II species is not really conservation. 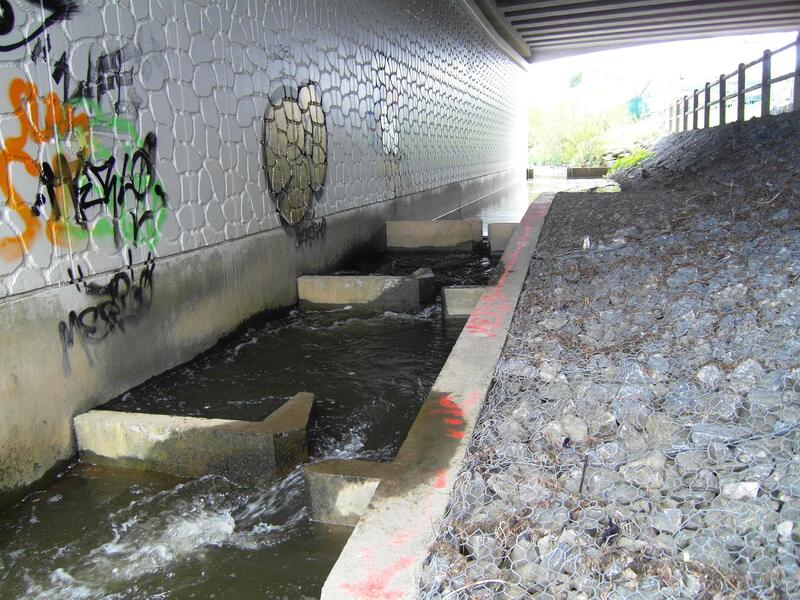 Vertical slot fish way bypass on River Mulkear – but does this work? It is also of concern that the Mulkear Life lamprey ramp is being promoted as a success without any supporting scientific evidence. There is clear scientific evidence that river lampreys cannot pass crump weirs (Russon et al, 2011). There is clear scientific evidence that sea lampreys cannot climb ramps (Reinhardt et al, 2009). There is no scientific evidence that Mulkear Life’s lamprey pass works for any of the lamprey species present in the Mulkear. Based on available scientific evidence salmon counters on crump weirs are a serious risk to lampreys (and eels). 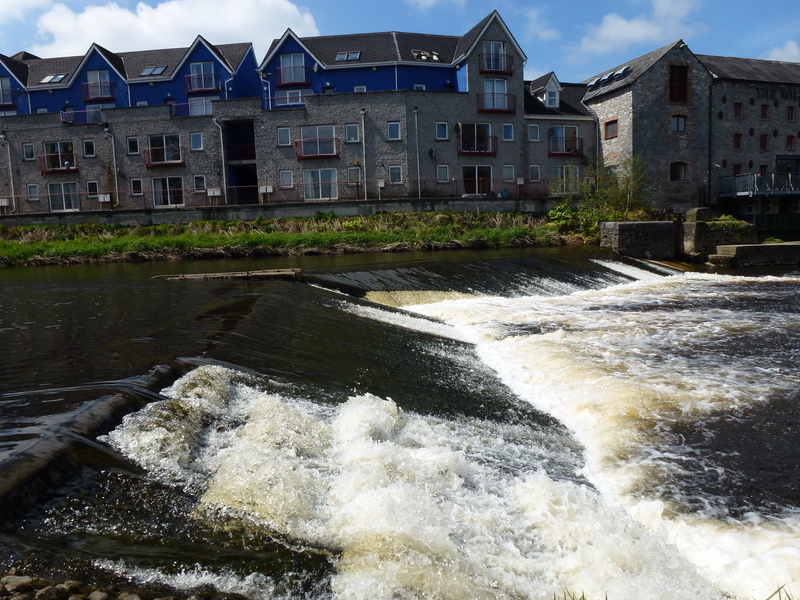 The crump weir on the lower River Mulkear contributes nothing to conservation, and has just added to fish migration issues on the Old River Shannon catchment. Far from ‘good news for lamprey passage‘ on the River Mulkear, the opposite is clearly the case. Mulkear Life’s Lamprey pass – no scientific evidence that this works. Previous Mulkear Life’s lamprey pass – where is the evidence that it works?